The eighteenth annual CanSecWest security conference is underway in downtown Vancouver, Canada, where researchers are competing in the 11th Pwn2Own computer hacking contest for over $2 million in prizes. Day one results have already been published over at the Zero Day Initiative website, with a couple of successful Mac-related exploits already appearing in the list of achievements. Samuel Groß of phoenhex returned to Pwn2Own to successfully hack Apple's desktop Safari browser. Groß used a JIT optimization bug in Safari, a macOS logic bug, and a kernel overwrite to execute code to successfully exploit the browser, earning himself $65,000 and six points towards Master of Pwn. The exploit also caused a text-based message to appear on a MacBook Pro's Touch Bar. 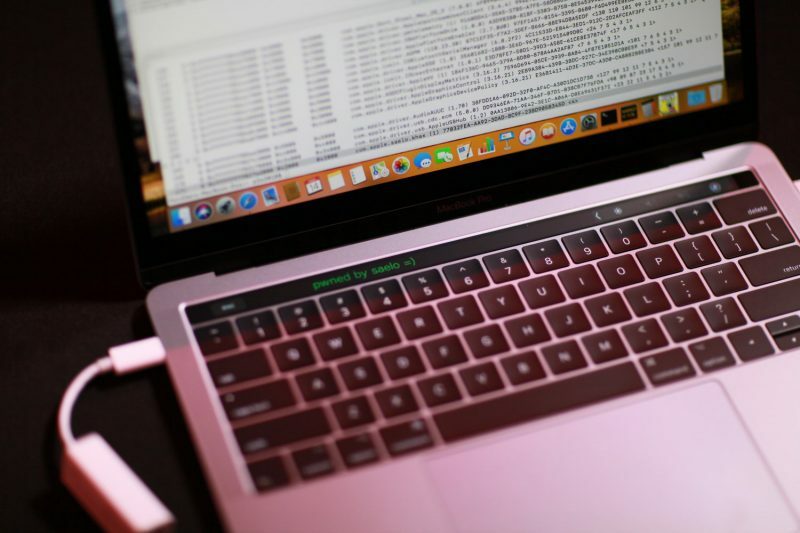 The achievement harks back to Groß's similar success at last year's event, where he targeted Safari with an escalation to root on macOS that allowed him and Niklas Baumstark to scroll a message on a MacBook Pro Touch Bar, earning them $28,000. Another Safari exploit at Pwn2Own 2018 was initiated by Richard Zhu, who managed to bypass iPhone 7 security protocols with the help of two Safari bugs at November's Pwn2Own mobile event. However, this time Zhu failed to get his exploit chain working within the allotted 30-minute time limit. Unfazed, Zhu returned to wow the crowd with a Microsoft Edge exploit that used two use-after-free (UAF) bugs in the browser and an integer overflow in the kernel to successfully run his code with elevated privileges. The dramatic effort against the ticking clock earned him $70,000 and seven points towards Master of Pwn. Apple representatives have attended the Pwn2Own contest in the past, and affected parties are made aware of all security vulnerabilities discovered during the contest so that they can be patched in future software updates. 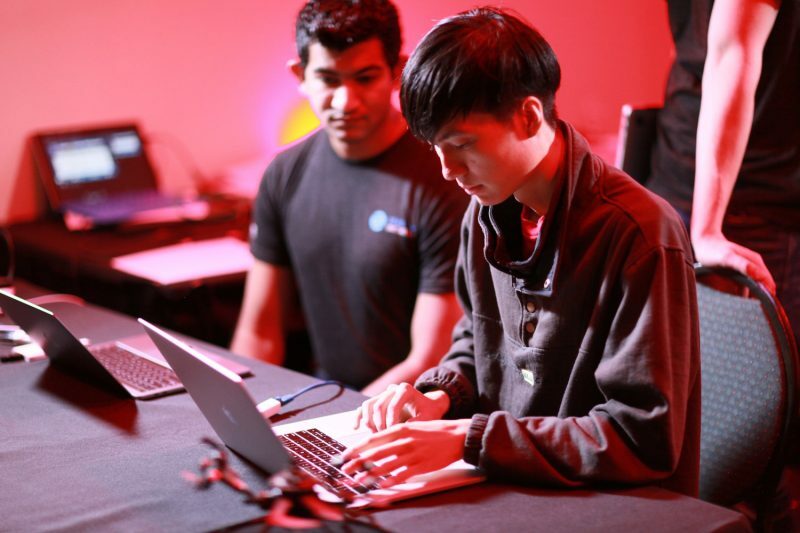 The participating teams earned a total of $162,000 in prizes on day one, and the event resulted in three Apple bugs, two Oracle bugs, and three Microsoft bugs. Pwn2Own day two begins today at 10:00 a.m. Pacific and will involve additional exploit attempts against macOS and Safari. Update: On Pwn2Own Day 2, MWR Labs, a team consisting of Alex Plaskett, Georgi Geshev, and Fabi Beterke successfully used two Safari vulnerabilities to execute a sandbox escape. For the feat, they earned $55,000 and 5 Master of Pwn points. In a separate attempt, Markus Gaasedelen, Nick Burnett, Patrick Biernat of Ret2 Systems, Inc. tried to target Safari using an elevation of privileges kernel exploit, but the team was unable to get the exploit working in the allotted time period. Excellent. Bug bounties are great for everyone. One cannot understand why Apple doesn’t hire these people to work on Apple services and products. I really hope a Pawn team figures out and demonstrates a Siri hack and then Siri gets rapid advancement as a result. Executing commands nobody in hearing range ever gave. Yeah not in any need for a connected smart speaker. I already have insomnia I don’t need schizophrenia induced trauma to go along with it lol. Give me one good reason why do they need contests when each of them can report their hacking individually and earn more? This entire "contest" is an illusion. The exploits that they are showing are not discovered on the spot, they are the product of months of research and development. However this dramatic fashion of unveiling them gives the researchers fame and publicity, and forces the vendor to acknowledge and fix the vulnerabilities rather than privately kicking the can down the road for potentially a year at a time. Afaik, they’re hiring the same guys with laptops in their bedrooms. They've been doing this since at least 2011. If you're part of the jailbreak community (I was in the past) you'll notice a strong correlation between the hiring of these prominent developers (Comex for example) and the increased time it's taken for each successive version of a jailbreak. I noticed back in 2011 to 2014 but didn’t realize more hiring was done. I’ve only jailbroken back with 3GS and for only a month. I have noticed slower jailbreaks though since then. ...they’ve hired every major jailbreak developer over the last 5 years (hence why jailbreak exploits are getting harder to find and longer to implement). You were unaware of this before commenting I presume?